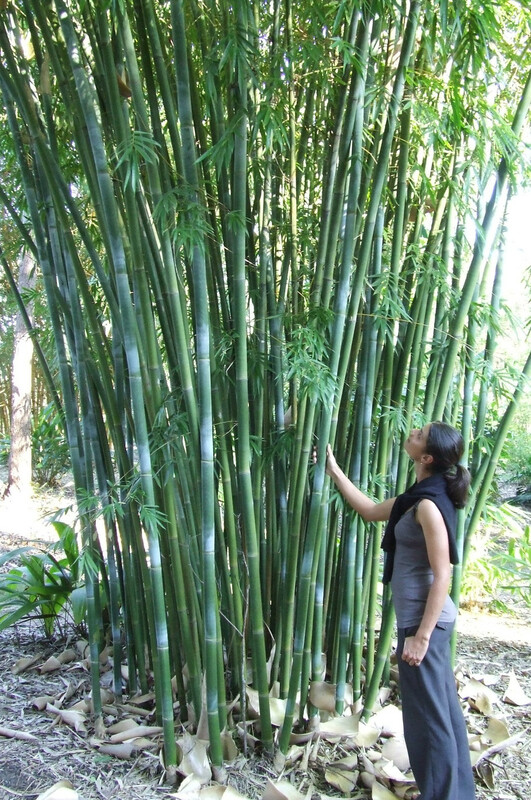 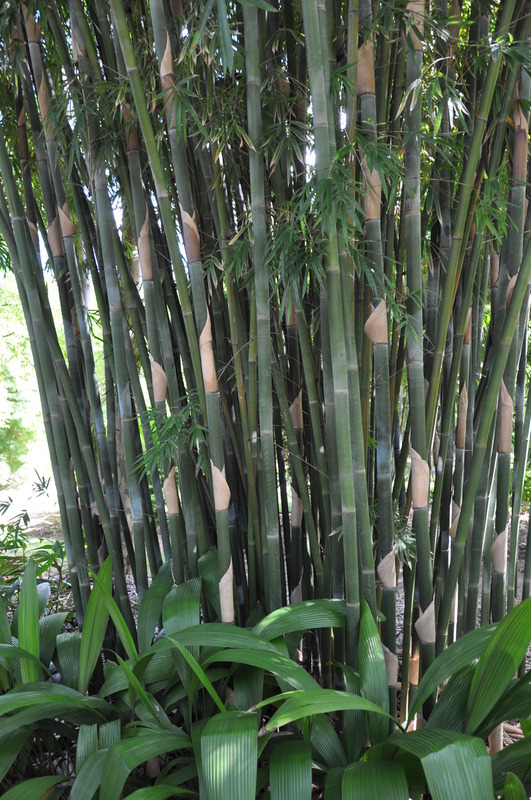 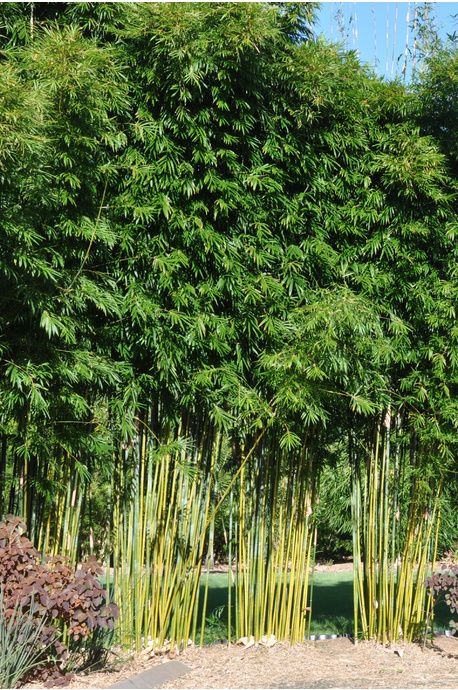 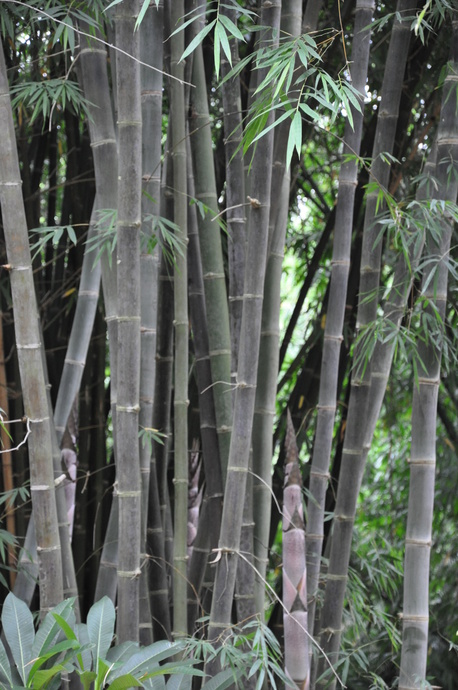 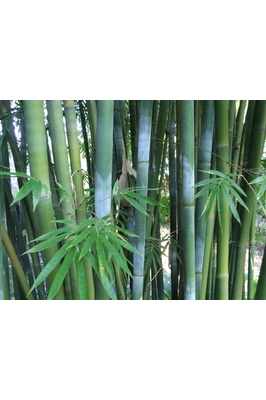 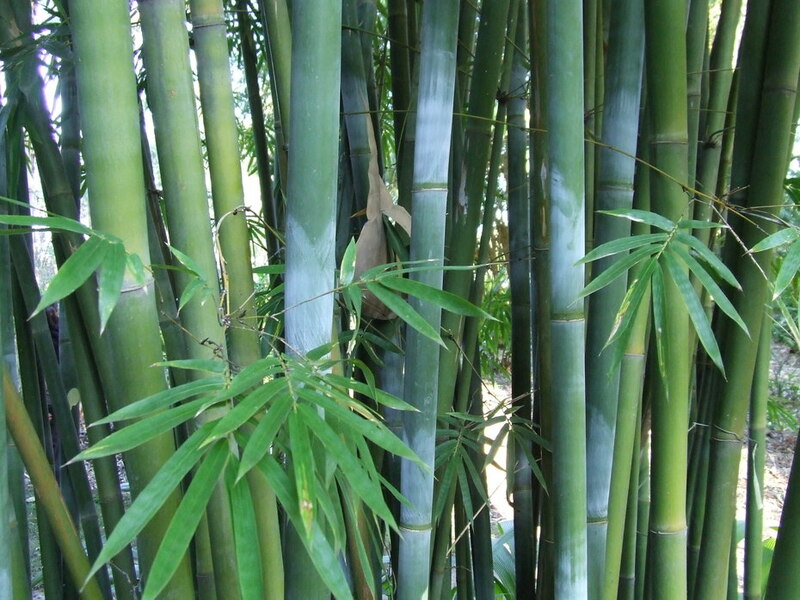 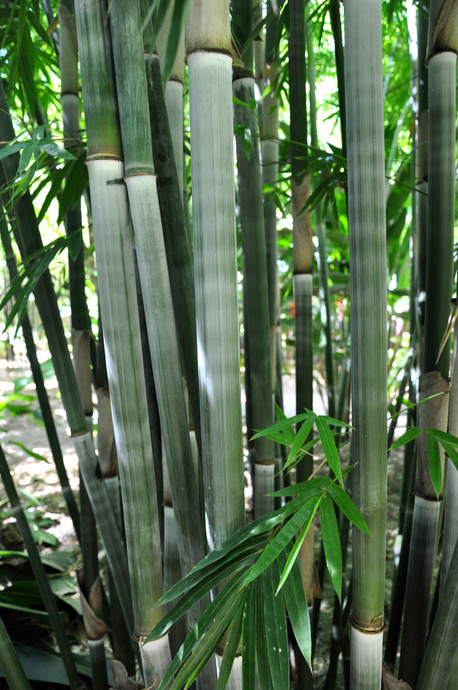 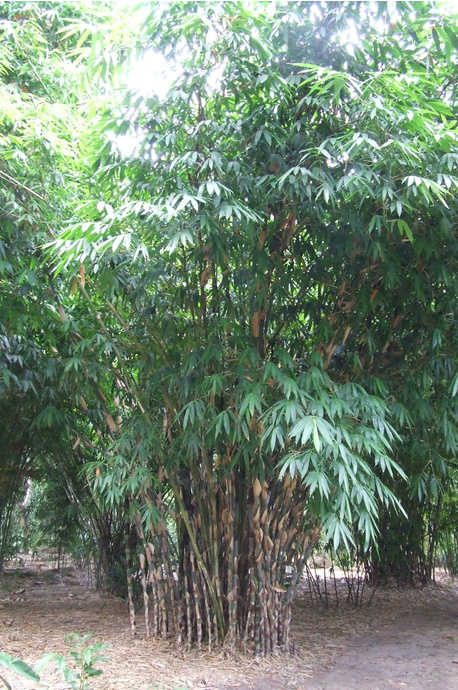 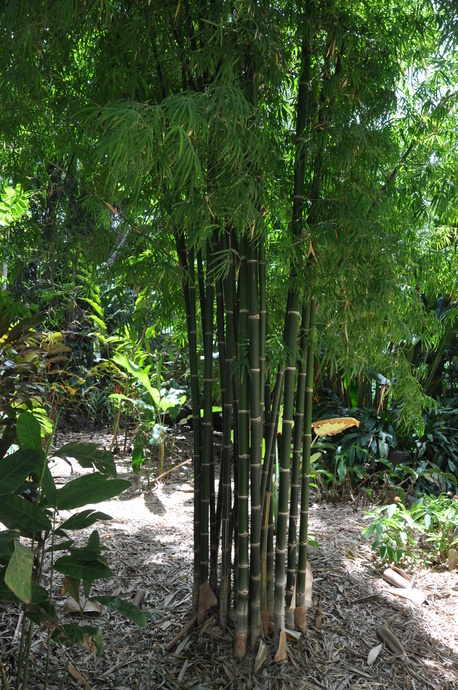 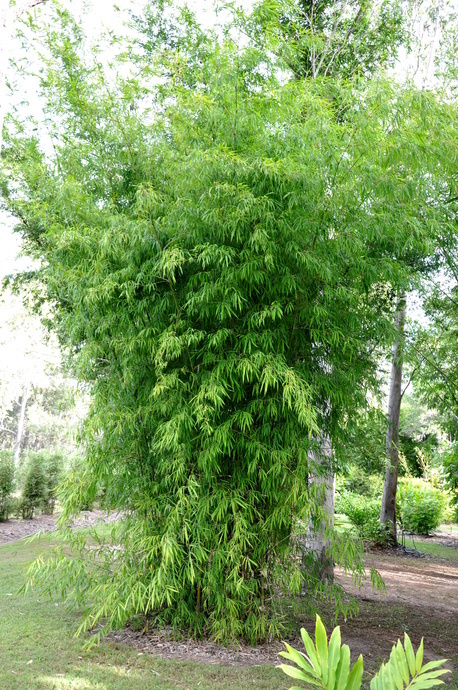 The Bambusa textilis can get quite large in clump diameter. 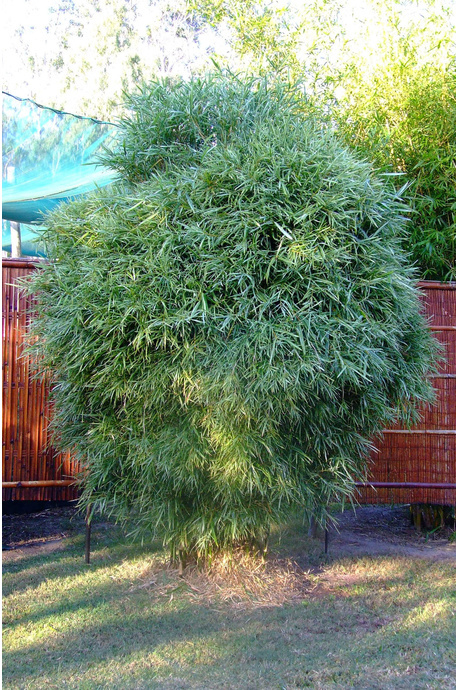 In approximately 5 years, it tends to be about 1m in diameter, and about 2m in diameter after about 10 years. 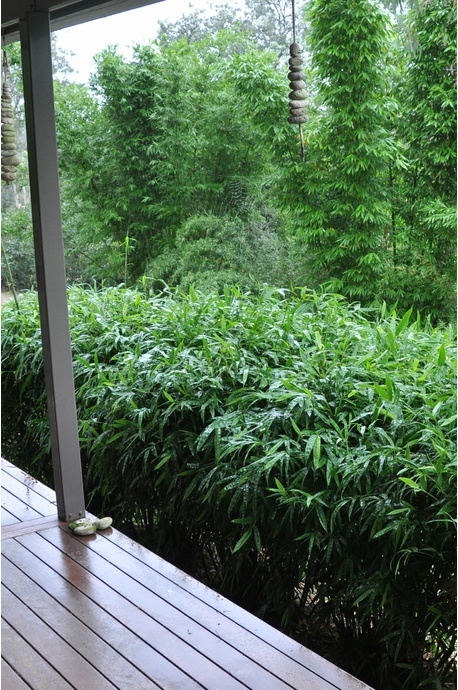 Therefore, it should be planted at least 1 to 1.5m away from fences and boundaries, in garden beds at least 2m wide.